Today only, Ruby's Diner will be rolling back the prices to 1982. Shakes are just $1.60 and burgers are $2.15!! This is all in celebration of their 30th Anniversary. 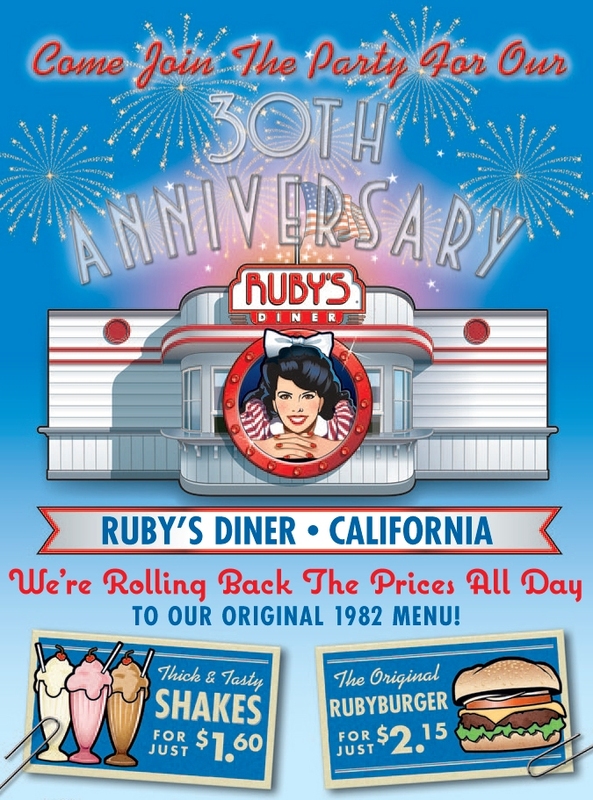 So, Shuby Duby Down to Ruby's today.